Reducing unnecessary small business costs doesn’t have to be complicated. Often, cutting out unnecessary expenses can go a long way toward improving your bottom line. A variety of considerations, such as going paperless and utilizing virtual office spaces, to marketing online, can add up and make a huge difference. If you’re looking for ways to maximize profitability and efficiency by while reducing costs and overhead expenses, keep the following steps in mind. The cost of paper might seem minimal when compared to other expenses, but it can add up to a large sum over time. Going paperless is not as drastic of a change as it might seem to some business owners. In fact, you can perform your daily functions in virtually the same way—without the extra cost. Technology has come a long way over the last few decades, and competitive businesses are taking advantage of new tools and services to run more efficiently and effectively. Being a business owner is demanding, especially if you’re just starting out. Although you might be doing a great job at balancing everything on your own, it doesn't always come across in the most professional manner to prospects and clients. By doing everything yourself, from answering phones to closing deals, you’re leaving yourself vulnerable to missing out on the small details of business management. 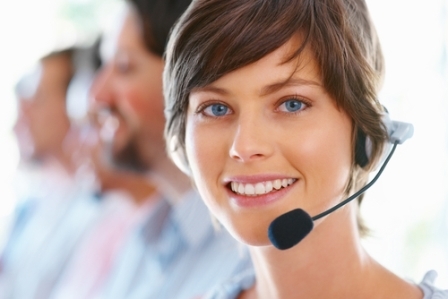 This is where virtual receptionist services can come in handy. Live receptionist services provide highly qualified receptionists that are capable of doing much more than simply answering the phone. These receptionists give specific and detailed information that clients or prospects need in order to have a positive experience with your company. Having someone that’s able to take care of calls professionally lets you focus on other important matters. Leasing a space can be a big expense. If you’re only holding meetings and conferences with clients and prospects once in a while, leasing a building with extra square footage is unnecessary. However, having a professional atmosphere is an absolute must to the profitability of your company. In situations like this, utilizing virtual office spaces is a great solution. You get all the benefits and perks of the space, without the overhead cost and maintenance. Reduce the unnecessary costs in your business and reserve your virtual office space today. Technology is taking over every aspect of our lives—and it’s no different when it comes to business. More and more businesses are opting to market online rather than outbound and direct marketing methods. In large part, online marketing is much cheaper. Print ads and direct mail pieces are expensive and don’t allow you to measure the clear results of your campaign. With online marketing, you’re able to track data directly to a prospect or client and can personalize your campaigns more effectively, all while saving money and improving your overall ROI. Small businesses are becoming more and more common across the country. From one-person shops to a handful of employees, these businesses are able to compete with, and outperform, some of the most well known competitors in their industry. In order for smaller businesses to thrive, they need to be mindful of the bottom line as well as make smart decisions when it comes to spending. These four tips are essential to reducing unnecessary business costs and remaining profitable for years to come.